All objects around us are characterized by their own features. Some of them are natural, some of them were acquired by man. Man in contact with certain objects can experience a beneficial effect. Items that have accumulated a positive potential have long been used as magical amulets to protect people from negativity and attract desired moments. Such things should be chosen for each person individually, given his data: gender, age and psychological characteristics of the individual. Correctly chosen amulet can dramatically change your life for better, bring health, luck and well-being. Amulets help not only in everyday life, but also in magic acts. In our online store can be found different amulets for various purpose, for example, magic amulets for working with the Astral, Earthen and Spiritual Realms, and Astral, Physical and Spiritual bodies. Moreover, here spells, magic stones, guides to other realities and bindings are also presented. Trying them once, you will feel the power of them. This is an extremely powerful piece with unlimited capabilities which is why it should be bought only by someone who has respect for power. It will come with the necessary instructions to access both the protected portals & unprotected portals on each of the 3 realms (Physical, Astral, & Spiritual). This can take you to any time on Earth, as well as any time on the Astral & Spiritual realms. To give you one example, of many I've had with the binding I have of this, I used the unprotected portal to take me back as far as I could go on the Astral realm which from my experience I am going to guess was billions of years, I was in a meditative state & when activated the sheer force of the portal I went through into the astral realm was so strong I felt the air taken from me & everything was moving at incredible speeds & the climate was so volatile I had to break concentration because it took me into what appeared to be a formation of a galaxy. I've also used it to go back into many, many eras of time on the physical realm. This is a 4 week course of steps for any Spirit Keeper to raise their own Spiritual Energy levels & to increase contact & interaction with all spirits in their keep. There is a limitless resource of power within the Universe. Everything you can possibly imagine, everything that has ever been created, everything that exists, is held within the grasp of the Universe. This binding opens a gateway for you to receive any power you wish from the Universe and absorb it into your 3 bodies. As it is absorbed you will feel the energy apply itself to your life. You will be able to work with magick, rituals, spells, spirits and entities related to the energy you have absorbed with FAR GREATER power and connectivity. The more you work with this binding the more powerful and well-rounded you become as a citizen of the Universe. You can work with absorbing more than one energy at a time if you wish as it will greatly influence how well you work within this world and how well you interact with everything outside of this world. When you absorb power from the Universe you are enlightening yourself, evolving, and exposing your mortal body to the incredible immortal powers that exist. The more you work with this the more you will find yourself become more and more comfortable with the supernatural and your paranormal abilities and skills sharpen with far greater accuracy and personal implementation. You will receive one of the Angel Blessing coins shown. Each of the coins has 10 beautiful blessings on them for Happiness, Peace, Health, Good Luck, Blissful Sleep, Sustain Energy, Attract Positive Energy, Happiness, Calm Stress, Longer Life and Gratitude. This binding contains a blend of spells meant to provide you power in working with the Astral Realm. The binding provides you the ability to connect with Immortal, Angelic, and Astral beings who possess great, Ethereal energy. A powerful binding which allows you to see two realities at the same time. This allows you to see what your physical body & Astral body see at the same time, or your physical body & Spiritual body, or your Astral body & Spiritual body sees. This opens your eyes to what you experience and connect with on a daily basis. It is really compelling for those who want to further development of their 3 bodies. This is a powerful spell which opens a personal channel for you between the Astral & Spiritual Realms. This channel is completely protected and allows you to experience personal situations where you can fully materialize supernatural gifts, abilities, and strengths in your life. You will have blessings, power, energy, and gifts come through this channel which can bestow permanent, powerful changes in your life. This will give you the chance to fully awaken to the supernatural path you are meant to be on. The original ritual was for creating a path to communicating with the gods & goddesses of an ancient religion. This re-working of this ritual allows you personal connection to receiving the power & blessings not only from immortals but also from anything within the Astral & Spiritual Realms that benefit you in any stage of your journey and supernatural development. 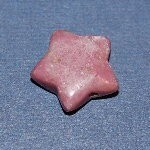 This amulet assists in Astral Travel, Astral Connection and bonding with Astral entities. Your Astral body is just as powerful, versatile and capable as the physical body you are using to read this listing. The majority of the population in the world leaves their Astral & Spiritual bodies to wither in their lifetimes and use their Astral bodies no more than simple dreaming and mild excursion beyond this Earth. However, those who actively seek to strengthen and encourage their Astral bodies find themselves at the forefront of power in their lives and they discover quickly their Astral bodies are just as powerful, just as capable, and just as amazing for evolution and development as their physical bodies. This enchantment is a powerful spell that exponentially & incrementally strengthens your Astral body and allows you to become a fierce and exciting warrior capable of so much in your lifetime! Astral Power, Projection, Travel, Energy, Interaction, & Connection! This binding is on a charming, keyhole pendant which contains powers for Astral Power, Astral Projection, Astral Travel, Astral Energy, Astral Interaction, and Astral Connection! This binding courts those who want to be more efficient and powerful in Astral Projection. For those who want to hone and empower their skills, and truly utilize the advantages of Astral Projection to their fullest extent. This binding works with both your Earthen body & Astral body to help them tune to each other more quickly, and be able to make the immediate transitions they need to make your Astral Projection sessions more intense, accurate, efficient, and relevant to what you want to accomplish. Imbued with powers of boosting realm connection, freeze spell to slow-down the time & events during realm travel, safe-passage portal to communicate with realm beings & spirits, and absorption of realm energies. 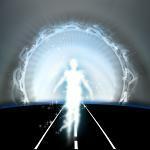 A powerful spell for those who want to work on their ability to Astral Travel and more specifically, Time Travel. This enchantment helps you to align your Astral body with the Astral Realm during meditation or sleep cycle so you can walk through multiple dimensions and realms at the same time through the chronology of the whole of time. This allows you to see events, people, civilizations, locations, etc at any time in which they existed. For those who want to broaden their abilities with the supernatural this will be an amazing wake-up call! This is a fantastic enchantment to work with if you want to develop your Astral Travel abilities. This binding contains a blend of spells that allows you to work with your Astral body for memorable and long-distance connections to the Astral Realm for communication, interaction, inspiration, and learning more about yourself, the Universe, and how the power of the whole of time can flow within & around you for a better understanding of life in general.